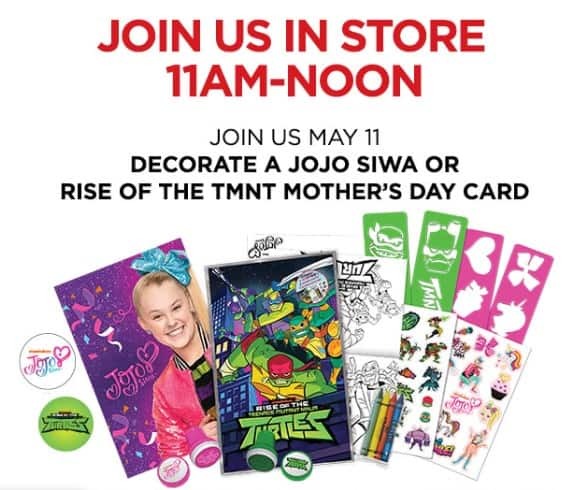 Kids can visit JCPenney on May 11th to decorate a Jijo Siwa or Rise of the TMNT card for Mother’s Day. Kids can participate in a number of fun Kids Zone activities for free at the JCPenney Kids Zone Events! Items are available while supplies lasts.